Maintenance managers know their field is changing. Yet the maintenance management profession has transformed so fast, it’s tough to stay on top of everything. 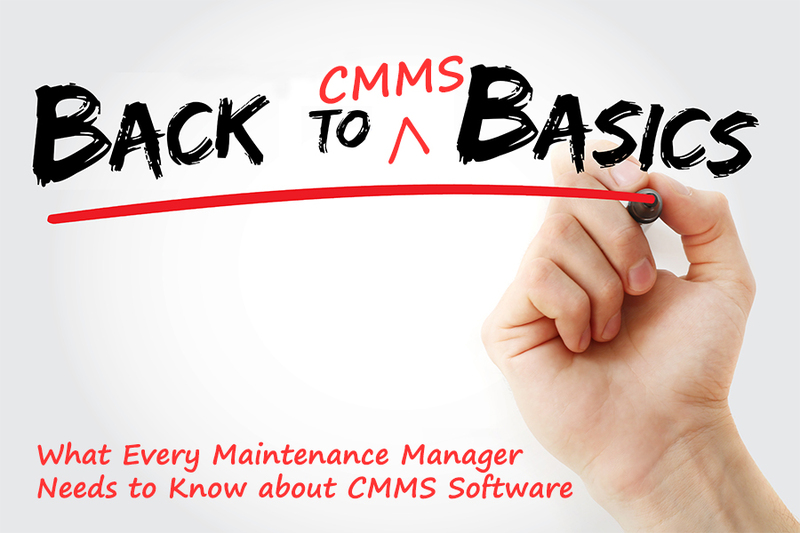 Our new series, Back to CMMS Basics, helps busy maintenance managers who want to understand the new realities of modern maintenance management, quickly and easily. We’ll give you everything you need to know about computerized maintenance management systems and how maintenance departments are using them to improve productivity and efficiency. Let’s start with a question we hear a lot—why do I need CMMS software? Organizations decide they need CMMS software when whatever they’re doing stops working. A functional pain point occurs when your existing system stops functioning. Whatever it is, your existing system isn’t doing it well. It impacts your team’s job every day and makes it hard to perform or track basic maintenance functions. A technological pain point occurs when the technology you’re currently using is no longer a match. Paper, spreadsheets, or homegrown databases just don’t cut it. Even older CMMS/EAM software likely needs an upgrade to meet these requests. Sometimes a pain point originates elsewhere in the organization, but it comes to you from elsewhere in the organization. When your organization grows, maintenance feels the impact. Suddenly you’ve got more equipment to maintain, additional production to support, new staff members to manage, extra inventory to store, and different safety procedures to perform. Scalability simply means CMMS software can accommodate changes in size or volume as needs change. From a business standpoint, software scalability is cost effective because you can buy what you need when you need it. Next time, we’ll explain the differences (and similarities) between CMMS and EAM software. Until then, contact us with questions.